I’ve loved that nursery rhyme since I was a little thing. I learned to read properly using a huge (to me it was huge, anyway) book of Mother Goose Tales, curled up under the covers, reading out loud to my faithful best friend, Amos the cat. 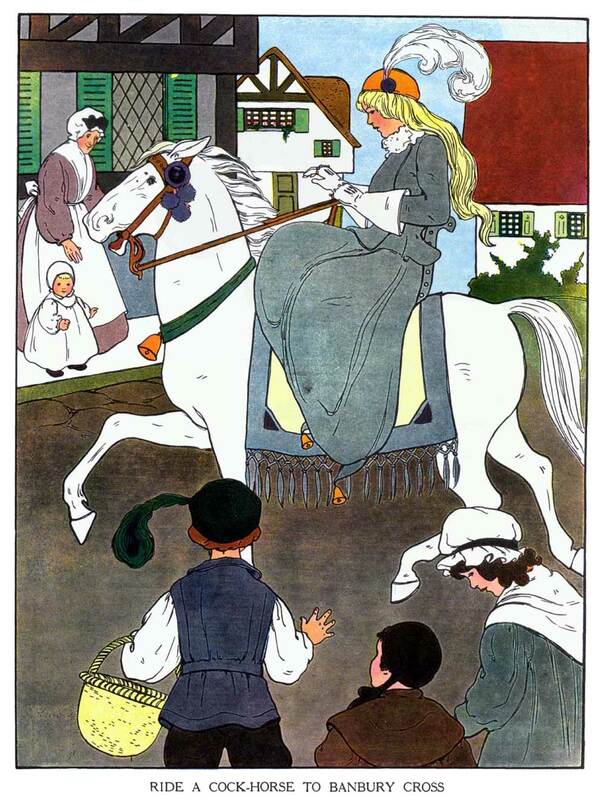 Of the Mother Goose nursery rhymes, my favorites were the ones that involved travelling of some kind – not exactly the mode of travel, but the fact that the characters were out on the road, taking care of business. Once I got to the point where I had memorized my rhymes, my father bought me my first book of fairy tales, a 1930s copy of stories from the Brothers Grimm. I miss that book. Though already quite aged, it got some more serious mileage by flashlight, after bedtime had long since come and gone. My favorite stories there all involved travel, too, though I suppose that most fairy tales are either about the dangers of the open road, or the pleasures of undertaking an epic quest. For me, any mode of transportation will do, but I must be able to experience each leg of the journey properly. That means seeing the sites – especially the weird in-between places that people like to skip via interstate roads. There’s no use “just passing through.” We do that so often in our everyday, that when it comes time to take time to explore, we need to be immersed in the opportunities! If I had unlimited time and money, I’d love to fix up a little vintage camper and tow it across country. I’d carry camping gear, too, so I could sometimes park and hike out to spend the night in more secluded spots if I wanted. Other nights I could pull up in a campground and set up my grill, meet the “neighbors,” and enjoy a little slice of the modern nomad’s life. If I had some money to burn and felt like being fancy, I could always park the truck & camper and go stay in a real hotel for the night every now and then, too. I’d love to just meander my way across the 50 states, stopping as long as seemed right wherever I wanted, having my adventures, then picking up and following my heart on to the next stop. Click through to see more shots of Constance, including interiors! Wanna Take A One-Question Survey?